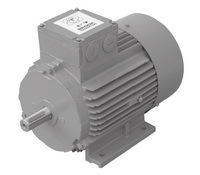 - A high quality standard range of electricmotors with a specification suitable for mostindustrial applications. 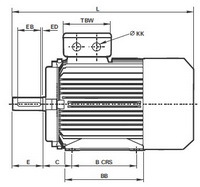 It covers productsfrom as little as 0.18kW up to 315kW inframe sizes 63 to 355L. - Products are used in almost everyindustrial activity including water treatment, building services, chemical/petrochemicals, general processing and manufacturingwhere they drive fans, pumps, compressorsand conveyors, amongst other things. - Stringentquality procedures are observedfrom first design to finished product inaccordance with the ISO9001 documentedquality systems.